The Butterflies play room caters for children from the age of 12 months to 2 years in a relaxed homely environment in order to ensure a smooth transition from your home to the Nursery environment. There are appropriate quiet areas that are comfortable and inviting with many opportunities to ‘snuggle in!’ We also have a separate sleep room for our butterflies that like the comfort of their own cot at sleep times. 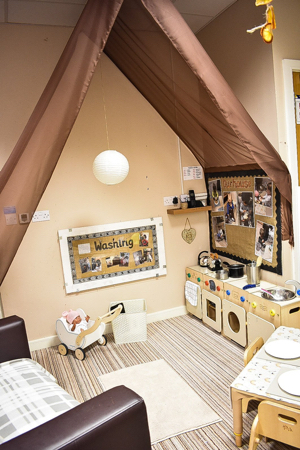 The Butterflies play room works along side the early years frame work, promoting the prime and specific areas of learning every nursery day, for example during art activities, baking, building, story and rhyme time. There are many experiences for them to explore with ‘imaginative’, ‘messy’, ‘sensory’, ‘small world’ and ‘physical areas’ which keep our toddlers very busy indeed! We participate in heuristic play which will increase your toddlers imagination and development. 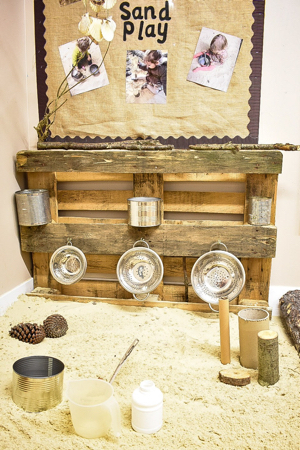 Our care celebrates the fact that children from birth need to develop whilst learning through interaction and exploration of the world around them. Details of the days diet, activities and just about anything that we need to tell you is recorded in your baby’s Daily Report which provides an avenue of communication on a Daily basis between home and Nursery. In The Butterflies play room, the staff ratio is a minimum of 1 member of staff to 3 children.